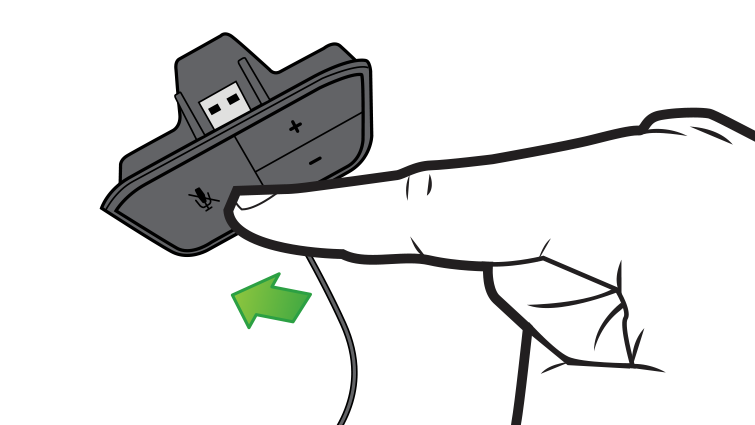 Disconnect the headset or unplug the headset cable from the bottom of the controller, and then reconnect it firmly to the controller (in the expansion port for a headset or the 3.5-mm port for a 3.5-mm chat headset). Note If you have a 3.5-mm chat headset, never pull on the headset cable when removing it from your controller. 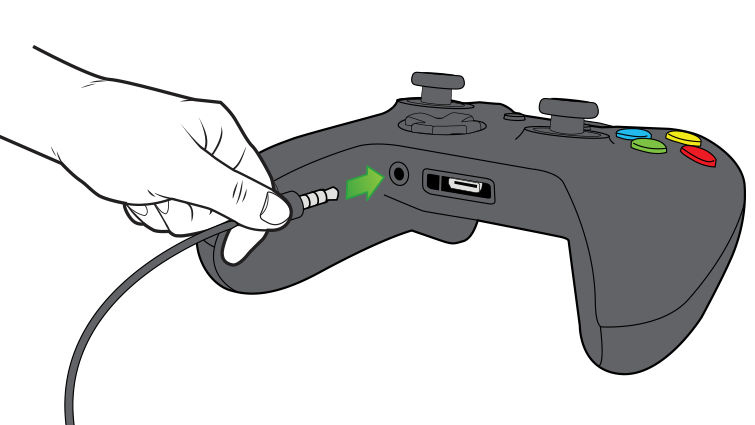 Remove your headset from your controller by pulling on the body of the headset plug. Increase the audio. If you're using a headset plugged into the 3.5-mm port, go to Settings, choose Devices & accessories, and then select your controller and adjust your audio options. Try using a different controller or headset to check for a hardware malfunction. Update your controller to make sure you have the latest software. See Attach an Xbox One Chat Headset to an Xbox One Wireless Controller. If these solutions didn’t solve the problem, use the following troubleshooting solutions. Note The Xbox One Chat Headset is designed for use with Xbox One controllers only. The headset is not intended to be used with any other device. The Xbox One console does not transmit game sounds or music through the Xbox One Chat Headset. If you're looking for an Xbox One headset that provides both game and chat audio, see Set up and troubleshoot your Xbox One Stereo Headset. Examine the headset, the cord, and the connector for visible defects. Make sure that no dirt or debris is on the headset connector. To clean the connector, use a cotton swab dipped in rubbing alcohol. 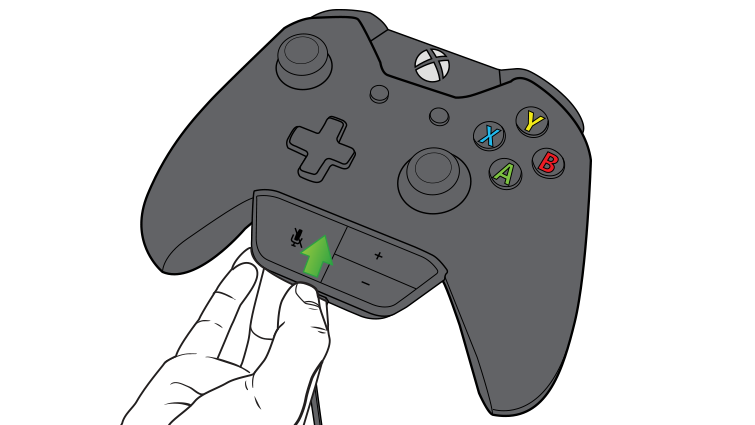 Verify that your Xbox One controller operates correctly, and that you can use the controller to turn on and turn off the console. For help troubleshooting Xbox One controller issues, see Xbox One Wireless Controller disconnects or can't connect. 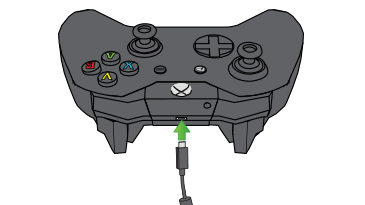 Firmly insert the Xbox One Chat Headset connector into the expansion port under the directional pad (D-pad) and the right stick on the controller. When you set up a profile for a child on the console, the Privacy & online safety settings let the owner of a parent profile control who can communicate via chat with the child profile on Xbox Live. In the Privacy & online safety section, you can enable chat communication in the child's profile. For players under age 17, the default setting is Friends Only. Under Account, select Privacy & online safety. Select Communicate with voice and text. Select specific friends or everybody, depending on who you want that profile to talk to. Note If you hear an echo effect, it often originates from the person who is talking and not necessarily from the person who hears the echo. For example, if you hear an echo only when someone else talks, the problem may be with the headset connection of the person who is talking. The microphone detects ambient noises. This includes voice transmission that comes from the earpiece. The headset plug is not fully inserted into the controller. You’re using the Xbox One Wireless Controller, and the battery levels in the unit are low. Turn the volume down on your TV or stereo. Disconnect the headset, and then reconnect it firmly to the controller's expansion port. Note Never pull on the headset cable when removing it from your controller. 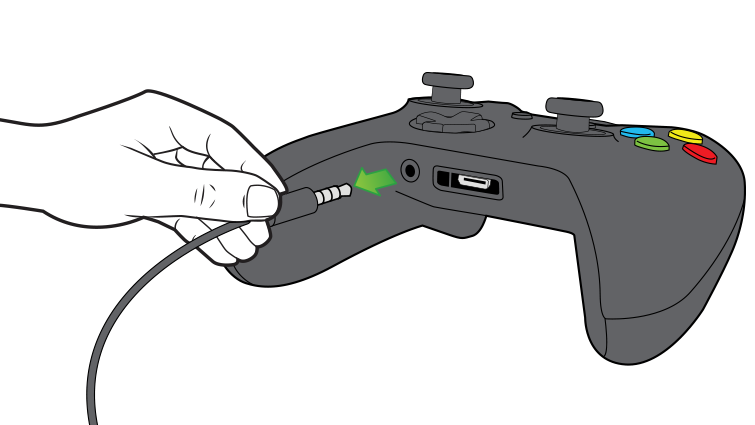 Remove your headset from your controller by pulling on the body of the headset plug. 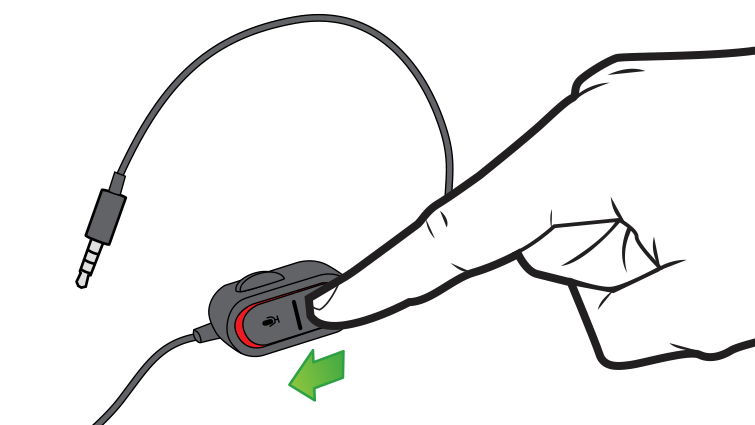 Clean the plug on the headset cable with a clean cloth, and then reconnect the headset to the controller. Test the headset by connecting it to a different controller. 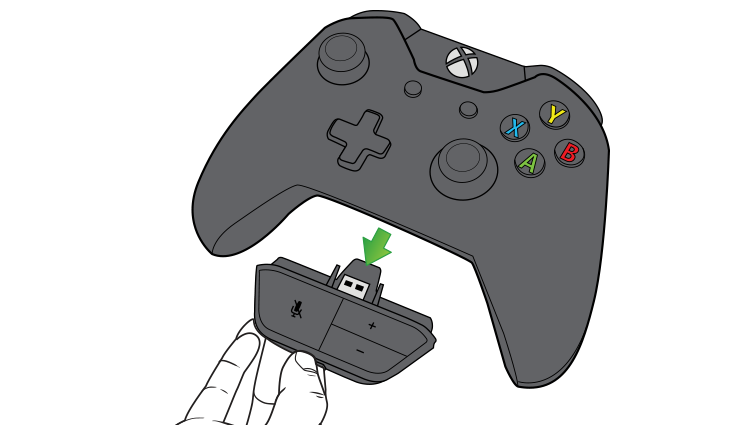 If you're using an Xbox One Wireless Controller, replace the AA batteries or recharge the Xbox One rechargeable battery. If you can hear others in a party or game but they can't hear you, try these solutions. Check that the orange LED light next to the Mute button is not on. For help, watch the following video or see How to restart or power cycle your Xbox One console. Watch the video Power cycle your Xbox One console. Note This video is available in English only. Select your gamerpic in the upper-left corner of the screen. Locate your profile and select Choose this person. Network Address Translation (NAT) lets you hide your IP address from devices that are not on your network. For more information about NAT, see the "Current network status" section at Network settings on Xbox One. Note If you can't start a party, check your connectivity by using the Xbox One Multiplayer Game Solution. Make sure your mic is not muted in party chat. Note You can use the Y button on your controller to toggle mute on or off. For a headset, check that the orange LED light next to the Mute button is not on. For a 3.5-mm chat headset, check that the Mute slider on the front of the audio controls in the middle of the headset cable is completely showing green. Make sure the volume is turned up. If your headset is working, you’ll see the ring around your gamerpic light up. If you have switched out your controller and headset, but you're still having issues with being heard or with hearing others in party chat, check your connectivity by using the Xbox One Multiplayer Game Solution. Select People, and then select the Skype Test Call contact. Select Voice call. Skype will try to connect your voice call. The call will ask you to speak into the mic and will repeat what was heard. If you still can't hear your friends online after you've started a party, but you can hear sound while using in-game chat or another app like Skype, see You can't switch to party chat on Xbox One. If you've followed these troubleshooting steps but your chat headset still doesn't work, it may need to be replaced. To order a replacement, go to Device Support. Would you like to contact Support regarding the "Xbox One Chat Headset troubleshooting" issue you were reading about or a different issue?